How to use herbs for weight loss ? It is a well known fact that there are certain cuisines around the world that promote a healthy body weight (Mediterranean, Japanese etc.). The secret lies in ingredients frequently used, that contain active substances that act on the metabolism and energy production process. The same action has been noticed in herbs and spices. Obesity rates are much lower in countries like India or Thailand, where the food is frequently seasoned with herbs and spices for flavor. Apart from thousands of years of tradition, modern science has researched these and proven that you can power up weight loss with certain herbs. 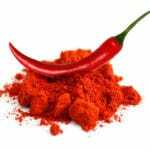 The capsaicin in it is a well known compound that increases the body’s temperature and the fat burning rate. It’s also efficient at curbing down hunger and cravings. Stephen Whiting, food scientist, showed that capsaicin helps the body burn fat cells and extra calories. The Manchester Metropolitan University also highlighted its weight management properties in people with a high BMI, along with the Ajinomoto Research Institute for Health Fundamentals. The caffeine, theanine and catechins are stimulating and speed up the metabolism. Fat absorption is reduced in the intestine. Theanine also increases dopamine, one of the feel good hormones, thus preventing hunger and cravings triggered by bad mood. It is recommended to drink at least 3 cups a day. Green tea is better than black tea because the leaves are not fermented. 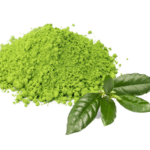 The Penn State College of Agricultural Sciences proved in a 2014 study that green tea extract, even combined with a high fat diet, leads to weight reduction. The more physically active, the better the results are. Also, countless scientific studies focus on the fat burning effects on green tea (studies by M. Boschmann, K. Diepvens, K.R. Westerterp, DM Morre, A. Russo, S. Bettuzzi, Y. Fukino, A. Ikeda and many more). Dandelion is a plant that detoxifies and protects the liver. A heavily loaded or fat liver is frequently the cause of excessive weight. When it’s not functioning properly, it will not process nutrients correctly and lead to weight gain. 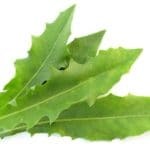 Cleanse your liver with dandelion leaves tea to help it break down fats more efficiently. Pair it with peppermint for superior results. The carbohydrates metabolism is improved, blood sugar becomes stable and your hunger as well as energy are restored to normal levels. Evidence is provided by the 2013 Journal of Medicinal Food, the 2014 Pakistan Journal of Pharmaceutical Sciences and the 2013 Food and Chemical Toxicology. This herb for weight loss works in a similar way to dandelion. It’s a well known hepatoprotective plant – it cleanses your liver and boosts its function, turning it into a fat burning powerhouse. 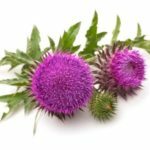 Milk thistle capsules are often prescribed when the liver is burdened and sluggish, which brings down weight loss capabilities with about 30%. Tincture is also good for your weight loss goals. This type of mint was proven to balance hormones so if you think your weight gain has a hormonal cause, you should start drinking spearmint tea. It acts on the excessive estrogen, bringing its levels down, while boosting testosterone. 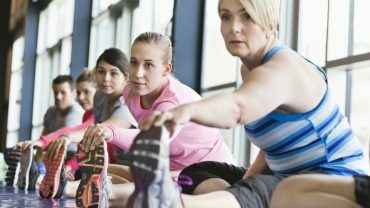 The later supports building lean muscle and burning fat, while estrogen makes one accumulate fat (this is the reason why women tend to have a higher body fat percentage than men). In addition, spearmint is calming, reducing anxiety and the tendency to eat compulsively. Keep in mind that anything that spearmint flavored will not work (like gum, candy etc.) – you need the real herb and not some synthetic flavoring. This very intriguing herb for weight loss has been known to African people for a long time. They have been consuming it to keep hunger away during long and troublesome expeditions. It’s been widely employed in the desert for its appetite suppressing properties. If you’re getting too many calories and facing frequent cravings, Hoodia Gordonii will eliminate these issues. The P57 compound in Hoodia makes you feel full sooner. Its hunger curbing effects were noted by the National Center for Complementary and Alternative Medicine. 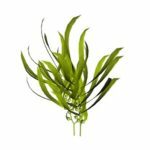 A well known healthy food, kelp is an algae rich in iodine and this speeds up the metabolism by improving the thyroid function. When the body is lacking iodine, the thyroid becomes underactive, leading to hypothyroidism. Guarana is special in so many ways. It is most often found on the market as a tonic for the nervous system, fighting depression and connected moods, thus preventing one from overeating due to a depressive state. 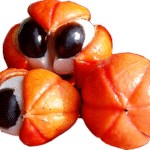 Guarana also boosts energy production and helps the body and mind adapt to stress. Truth be told, ginger is a root, so technically not exactly an herb, but it’s certainly welcome to the list of herbrs for weight loss. Ginger is a great friend for the digestive system. It helps flush out any accumulated residue and can melt the fat away. The potent substance called gingerol can improve your digestion and also warm you up – this is the thermogenic effect, the result of improved circulation and metabolism, that gets you to burn more fat. A study that was published in 2012 in the Metabolism: Clinical and Experimental Journal showed the thermic effect of ginger and also its satiety effect. 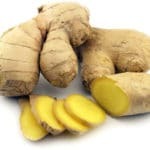 To have the desired results, drink 2 to 3 cups of ginger tea per day and also chew ginger whenever you can. In addition, add freshly grated ginger to your meals. This condiment typical to Indian cuisine and known for its bright yellow color is also a root and reduces the formation of fat tissue. It is also a powerful antioxidant and anti-inflammatory solution, especially when combined with oil and black pepper. 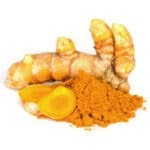 The Tufts University investigated the effects of curcumin in turmeric and found it lowers body fat and weight gain. Take Phen375 Instead For Faster Results ! Ever wondered why some people complain they never lost weight with herbs, even if those herbs were well researched and proven to work? It can be fro various reasons. First of all, people rarely have the patience required in order to see results. 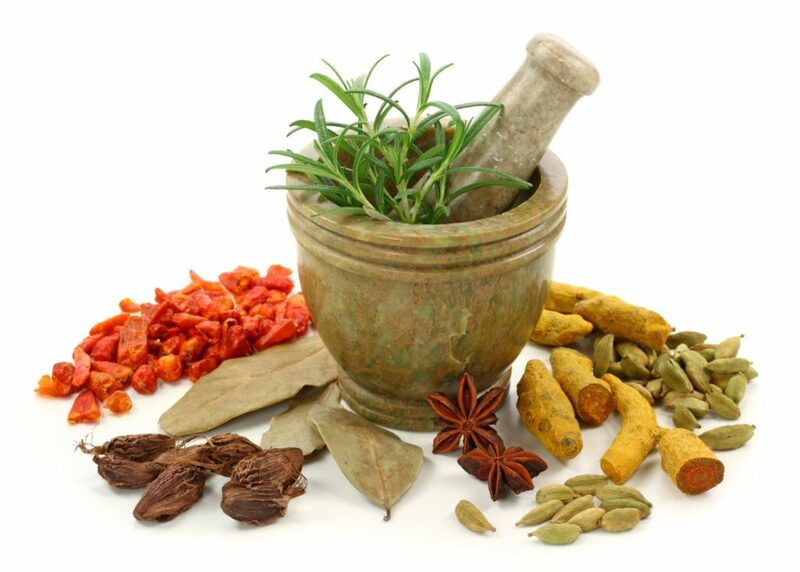 It takes at least 3 months to create change through the use of herbs and herbal pills or elixirs. It’s a daily effort – you need to take these at least once a day, day by day. Most such natural treatments are only effective if done for a period of about 6 months, because it takes a while until the body creates the change you want to see. The action of herbs for weight loss is slow and discreet – but certain. It takes your commitment and patience. Another reason for weight loss failures is a lack of physical exercise and proper diet. Without these, it is impossible to melt the excessive weight coming from stored fat. A regular intake of slimming herbs (either in the form of capsules, tincture, infusion or added to food) can aid your weight loss efforts. Be careful, this will not replace a good diet and exercise program, but will give you the much needed stimulus and the energy to push for change. It will power up your metabolic processes when your daily habits are not enough to accomplish this. Remember that drinking plenty of water will also help you. In addition, introducing herb infusions to your diet will get you plenty of the much needed water, to stay hydrated and flush out toxins.